Last year’s trip to the American south provided an opportunity to explore the works of Elizabeth Cotten and Doc Watson, two pre-War progenitors of style who, by taking the music of their own communities and reinventing it for the masses, helped define the scope and breadth of modern folk music. I quite enjoyed the research, and though the tracks are long gone, I think the features stand on their own as some of our better work since the blog began. As I noted earlier this week, this year finds us once again on the outer banks of North Carolina. Rather than mess with a successful formula, our trip occasions a look at some modern inheritors of those traditions. 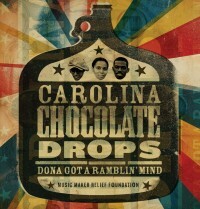 Ladies and Gentlemen: The Carolina Chocolate Drops. There are two ways to learn music, really: by formal study and by direct transmission. The vast majority of musicians these days learn through the former method, a mixed bag of training, recorded music and noodling, balancing their books on a combination of heart and chords, songbook and soul. 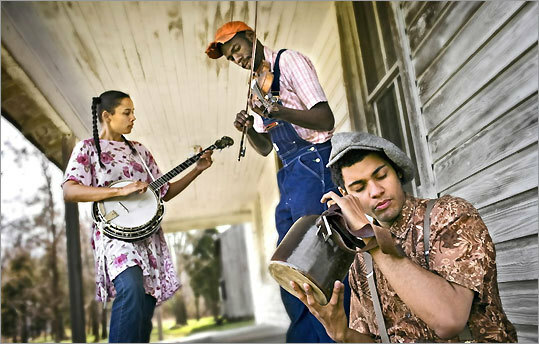 Modern inheritors of the Piedmont sound, the “African American string band” Carolina Chocolate Drops may have found each other through the newest technology — two of the three met in a listserv and chatspace for Black banjo fans and players — but they picked up their music the old way, seeking out the oldest surviving members of the Piedmont style, learning at the feet of fellow North Carolinans Algia Mae Hinton and Etta Baker, who passed just before the ‘Drops released their debut albums Heritage and Dona Got A Ramblin’ Mind in 2007. Like what you hear? 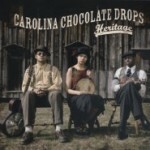 Carolina Chocolate Drops will be appearing at Merlefest this weekend, way on the other end of the state, but there’s more than one way to support the old ways; musicians can’t survive without fans who buy records, and though they’re not due for a new disk until early 2010, the Carolina Chocolate Drops catalog is well worth owning. Buy direct from the artists, or head out to your local record store; both strategies help spread the word and warm the heart while keeping music small and local. Today’s Bonus Tracks feature a few more covers learned by and from harmonica player Sonny Terry and blues picker Etta Baker, both members of the older generation of North Carolinan-based Piedmont blues musicians.